Chile is the longest country in the world, with the Pacific and the Andes mercilessly sandwiching the strip of land from top to bottom. Along the mountain range there are nearly two thousand volcanoes, and the country lives under the whims of its 80 active ones. With each tectonic divergence, the craters and fissures take turns in spewing out lava that later becomes andesite, a lightweight rock mainly used as filler for road construction. It is, basically, waste. Since 2013, the Santiago-based architecture and design firm has embarked on a study of the potential applications of the igneous chunks. 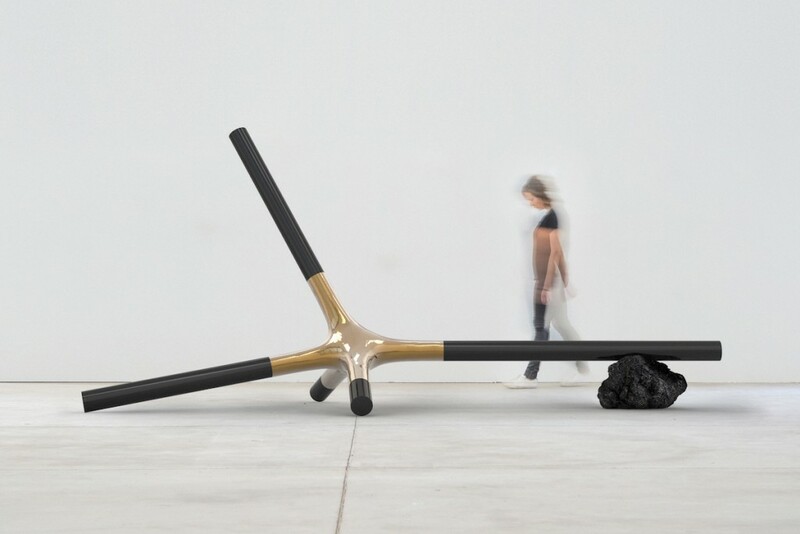 The results are now on display in Friedman Benda’s Manufactured Landscapes, an exhibition made up of objects and furniture that incorporate bits of the country in every piece. 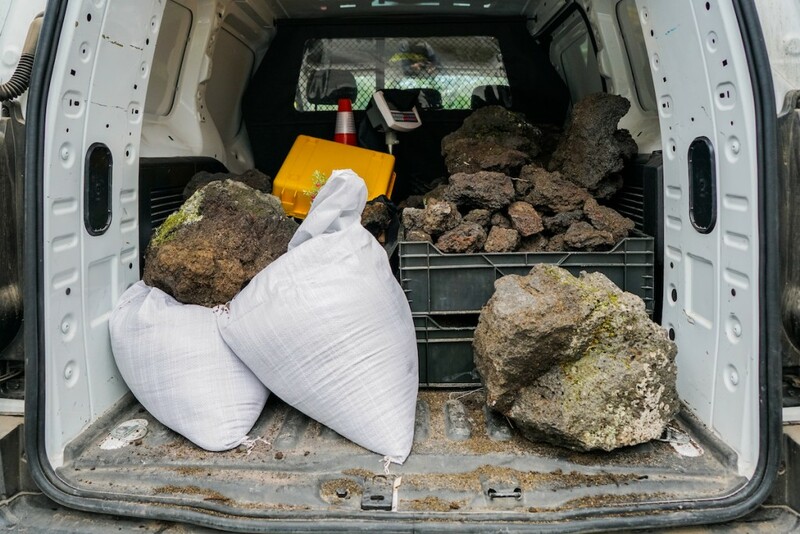 The most tangible instance of this material sourcing is the Remolten series, made through a process that heats up andesite to reshape ceramics the way lava reshapes the Chilean soil. But there’s one clear difference between the two: the gt2P team members are lovers of data and precision. Guillermo Parada, Tamara Pérez, Sebastián Rozas, Eduardo Arancibia and Víctor Imperiale are a mix of architects and engineers trained in parametric design, which they first used to devise large-scale commercial structures. 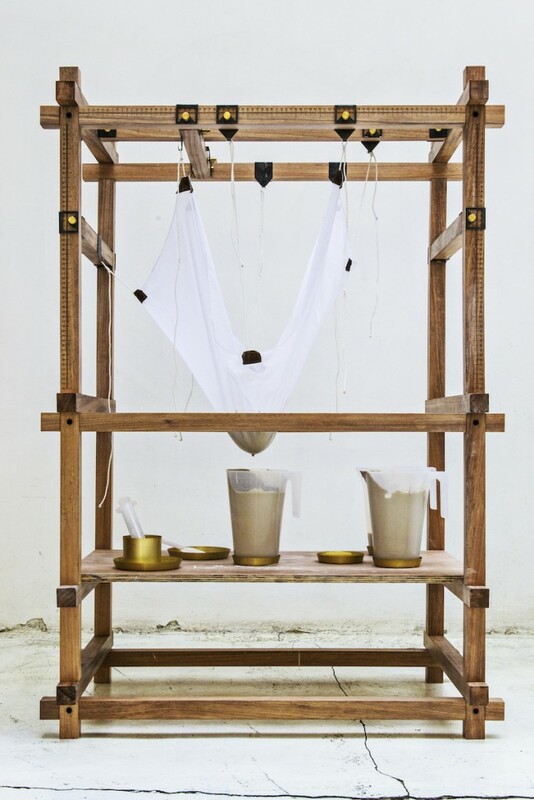 In 2013, they applied the same principles to create an analogue clay printer, combining the simplicity of a dripping muslin cloth with the complexity of real-time gravitational computations —think of it as a wickedly specialised coffee cloth filter. The project, which successfully produced catch-all ceramic containers, was dubbed Less CPP: Catenary Pottery Printer. 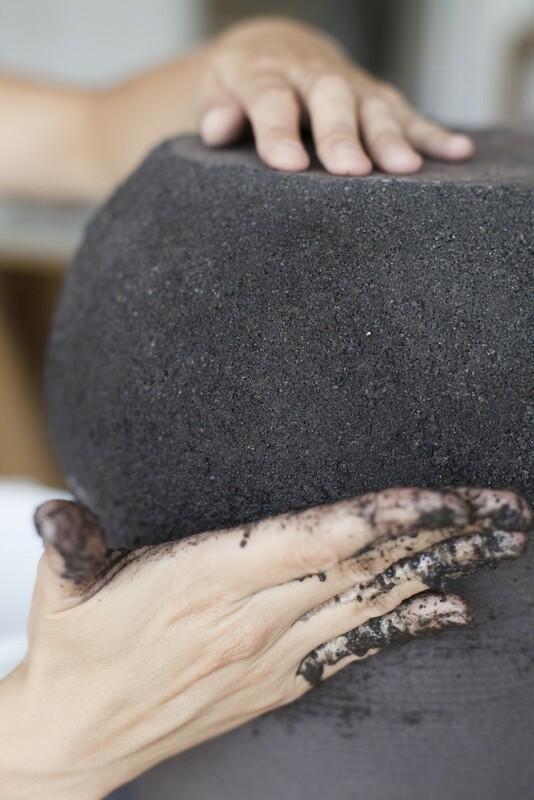 But with all that clay lying around the studio, something else happened: a client gifted them a lava chunk from the Chaitén volcano. They realised that, against their theories, a porous volcanic rock actually melts at the same temperature porcelain is fired —between 1,260 and 1,300 Celsius degrees instead of the expected 800. They started putting andesite on top of ceramic in the kiln, and that’s when the Remolten prototypes were born. “We realised that our imaginary was also melting with our culture and our landscape,” explains Guillermo Parada, one of gt2P’s founders. In Chile, one can literally walk up to a volcano and pick up mounds of the perplexingly abundant basaltic andesite. Nobody really wants it. Geologists don’t necessarily study its applications. The only people interested in it are national security experts, who need to know about the chemical components of eruptions in order to determine new contamination and fertilisation trails. They were the ones who advised the designers to pick up rocks from the slow-forming lava rivers on the slope instead of those that came from the violent ash plumes: the fast eruptions coat the rocks in acid, making them more fragile and less apt for the melting process. And the rawer a rock is, the better it works as a ceramic coating agent —as it cools down, the former transfers its strength to the latter. 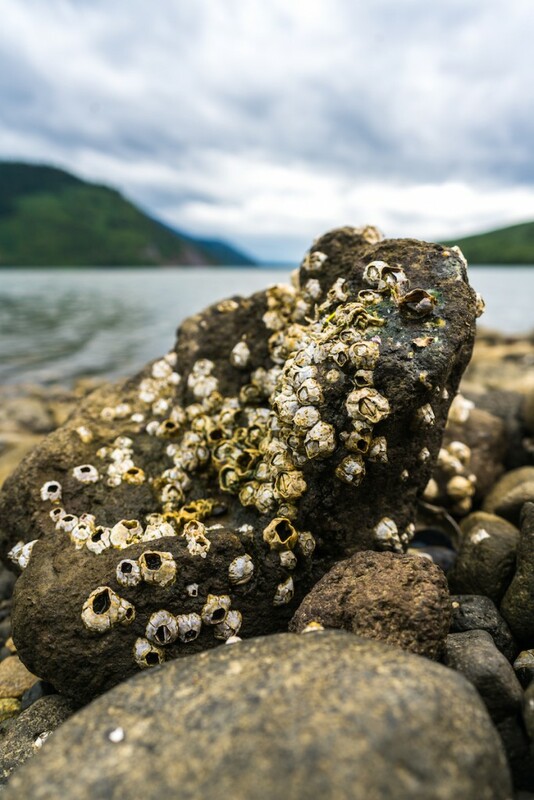 The team then started sourcing materials from the Chaitén and the Osorno, located in the south near the salmon powerhouse of Puerto Montt, and the Villarrica, one of the most active hotheads in the nation. Hoping to control outside elements comes second nature to Latin Americans, and wanting to reign in the unstoppable force of volcanoes is a direct manifestation of that sense of survival. 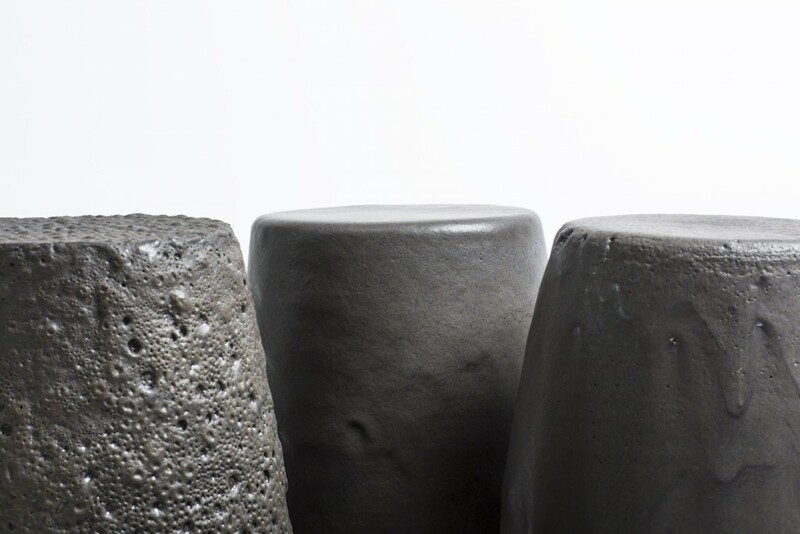 That’s why the seemingly haphazard surfaces of the Remolten planters, stools and tables are actually defined by different temperature curves —it’s a family of processes they’ve called paracrafting, a way of crafting for the digital age that combines objective parameters with customisable analogue production. That’s where the smooth trapelco, the dripping mahuanco and the rough quitralco come from. The results were quickly celebrated, and in 2017 Remolten made it to the list of nominees of the Beazley Designs of the Year at the London Design Museum. Quite deserved, considering that thanks to this collection one can, in a controlled way, get to sit on a Chilean volcano. The other thing these objects can do is attempt to raise from the dead a heritage trade that was decimated by the competitive pricing of the Chinese market: ceramics. “We can work with lava in the same production chain as ceramics, and that has the potential to revitalise an entire industry,” Parada says. The infrastructure and the know-how is already there. 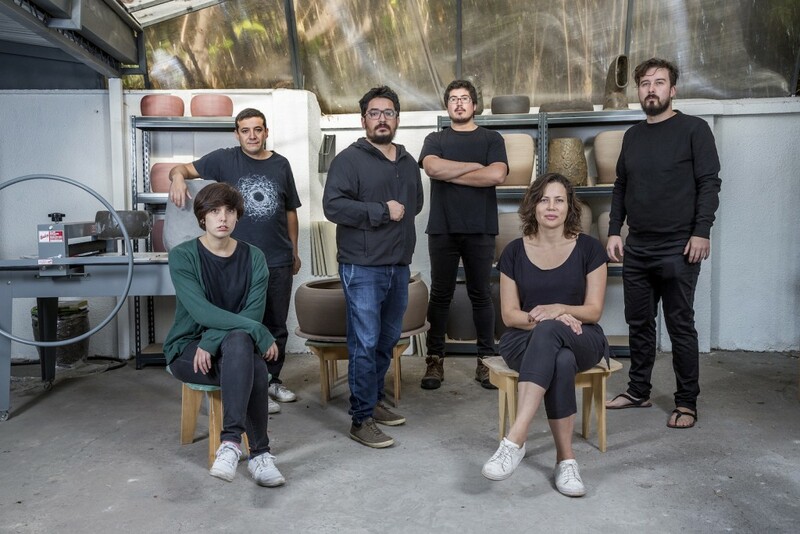 Now, with the Chilean government’s interest in funding process development instead of only focusing on visual arts or traditional industrial design —gt2P is in part a product of the development initiatives of programmes such as the Ministry of Culture’s Área de Diseño—, andesite might become a little more difficult to source. “Chile realised that we need to be experimental: that’s where the possibility of generating knowledge and industry lies,” the architect explains. 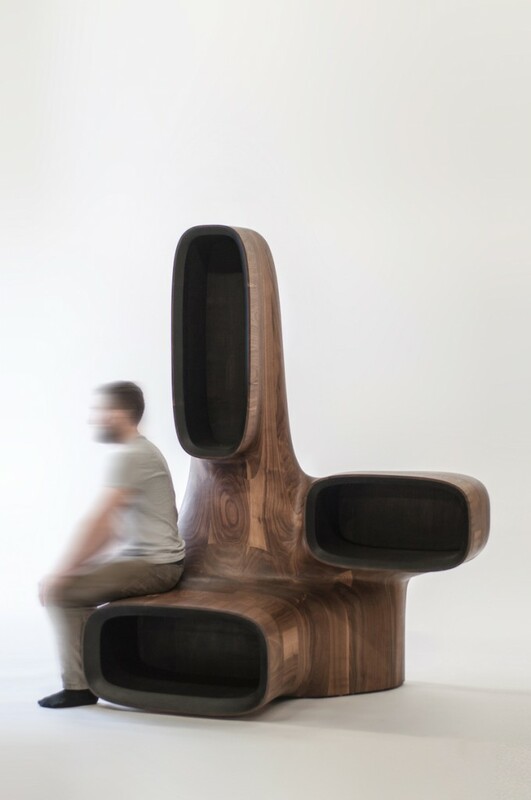 The Manufactured Landscapes exhibition also features Suple, a series of connecting walnut furniture —a table, a shelf, a chandelier that looks like a bench and a bench that looks like a chandelier— inspired by basaltic rocks, fallen trees at the edge of the Petrohué river and dry trunks surrounded by forests and volcanoes. 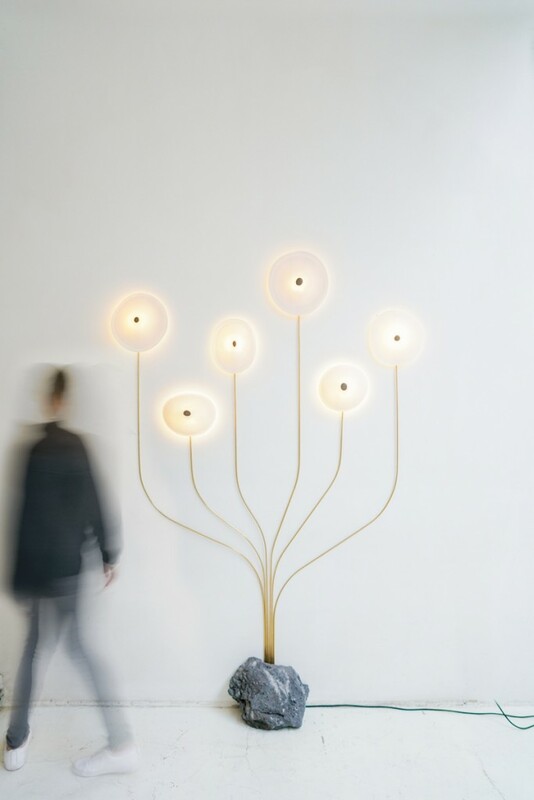 There’s also Less CPP N2, a derivation of the pottery printer project that uses the initial process to create lighting elements made with liquid clay and volcanic lava. When heated, the viscous element solidifies the shape; as it cools down, it contracts, giving porcelain that looks flimsy an inordinate strength. The Imaginary Geographies series was inspired by Nicanor Parra, a poet and one of the country’s most clear-eyed social observers. Although he died earlier this year at the age of 103, his thoughts live on in works like the audio recording that mixes a reading of The Imaginary Man —a poem that describes how human feelings can transform the territory— with the sound of mountain wind. 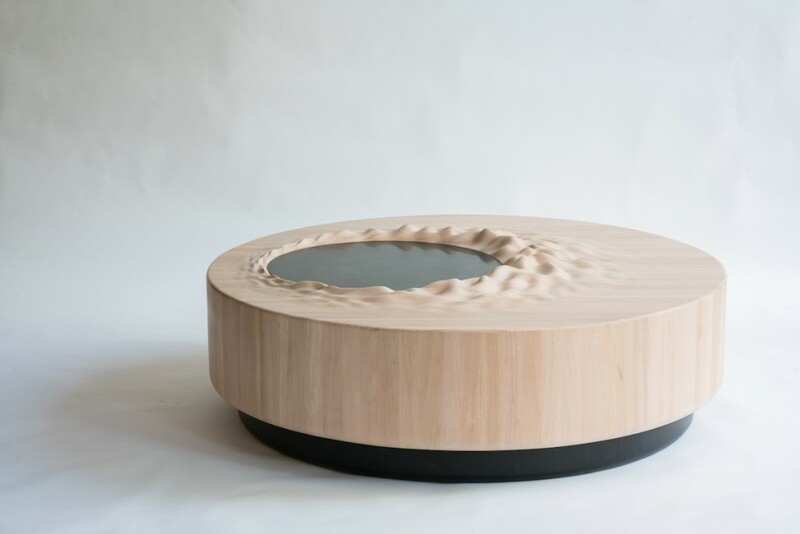 That recording was digitally interpreted by a carving tool on the surface of a coffee table and a credenza, made with local lenga wood and sandblasted basalt. Both surprising and unsurprisingly, the result looks somewhat like the omnipresent peaks that border the country. Parra, by the way, started his professional life as a physicist, and later became a poet. That duality appears to be quite common in the land of the Andes: the gt2P team, for instance, set out to work with highly controllable design parameters and, in the process, ended up producing pieces that poetically capture the unpredictable qualities of the country they inhabit. It seems that, in the hands of its designers, Chile can be both land and landscape. The analogue cloth slip casting process takes into account the variables of the amount of porcelain layers, gravity, cloth texture, translucency and reinforcement of the porcelain components with lava, as well as firing temperature, to obtain the final shape. 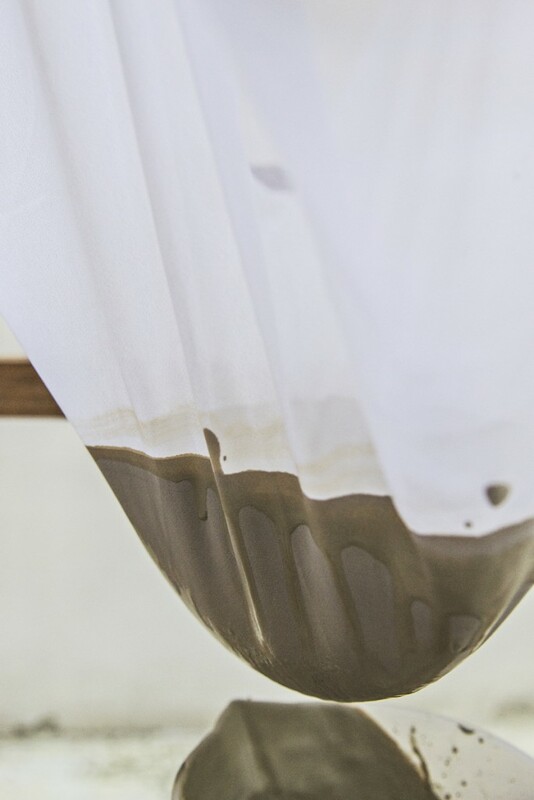 Casting within the fabric drape determines the exterior shape, and so, the number of times this process is done determines the thickness of the pieces. 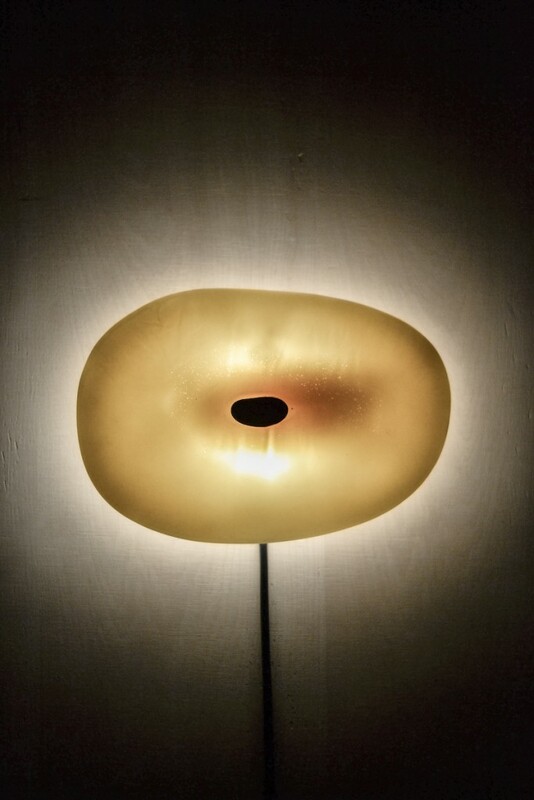 The shape of the wall lights and chandeliers with LED lighting is obtained with the technique given by the Catenary Pottery Printer. 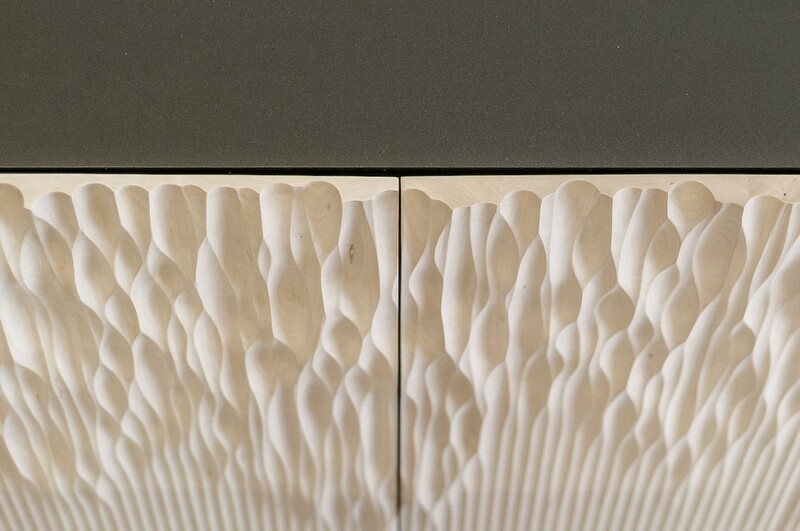 The variable translucency of porcelain can be controlled with the number of layers that are added while filling the curves, a subtle stratigraphy that can be seen when the piece is illuminated. Theoretically, volcanic stone should start to melt at 800°C, but the stones collected from the Chaitén and Villarrica volcanoes started to melt only at 1260°C, achieving a workable and controllable viscosity at 1300°C, which coincides with the firing temperature of porcelain. 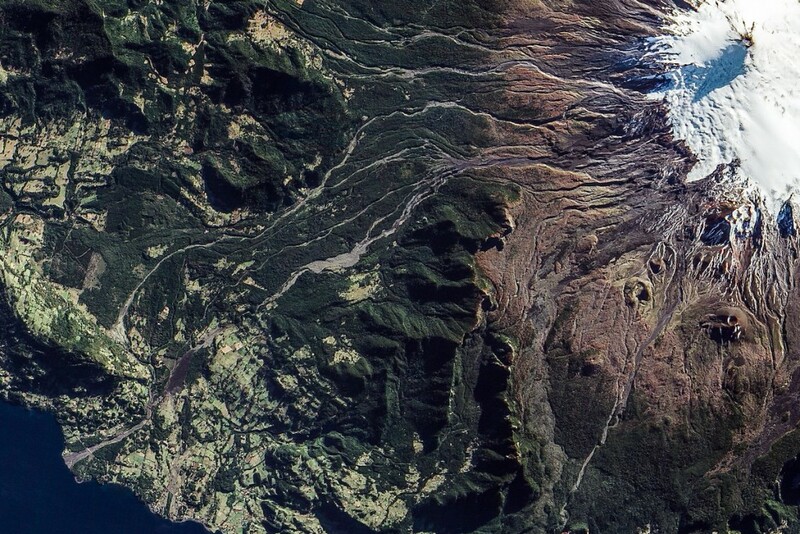 Throughout the Chilean mainland, there are at least 2,000 volcanoes. Of these, only 500 are considered geologically active; 60 have a recorded history of eruptions in the last 450 years, with a total of around 300 eruptions for that period. 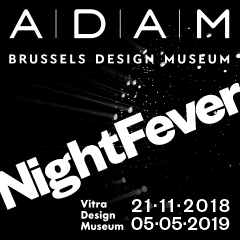 The collaboration with Friedman Benda is a practical research project to develop a physical parametric methodology —called paracrafting— for the production of pieces in “remolten” volcanic lava. 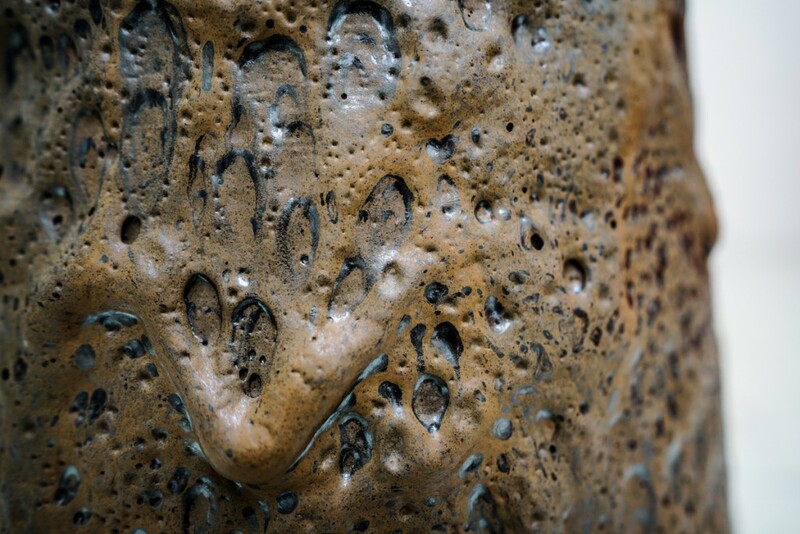 With the coating method, lava is ground to obtain specific grain sizes and then used to coat objects made of materials with great resistance to high temperatures, such as stoneware, porcelain and refractory concrete. In this method, lava is ground to a granulated state. It is then pre-cast, cooled and subsequently re-melted in high-temperature kilns. Stamped moulds made of non-meltable powder at 1300 °C are used. These are then placed in uncovered boxes made of stoneware or refractory plaster. The convex polygon is initially calculated from multiple cubic volumes, placed into a spatial relationship. The goal is to create a liminal situation, in which both the object’s usual purpose and other open functionalities, which are completely indeterminate, appear simultaneously. The second Suple family originates from angled lines intersecting at a single point. Unlike the monolithic space-containment units of the Bounding Form series, is materialised as a connective element (a literal “centrepiece”) into which linear elements can be inserted. The Andes range, with an average height of 5,000 metres, is the geographical barrier that separates Chile from the world. “The mountains mould our culture and loom large in our national imagination, both geographically and visually,” explained Guillermo Parada. The Imaginary Geographies proposes a geometric and material reconstruction of the geographic icon. This table, for example, was cross-inspired by the sound frequencies of a reading of poet Nicanor Parra’s The Imaginary Man.